"... months), abdominal pain combined to hepatomegaly and multiple focal lesions in the liver according ..."
"... . The presence of the bacterium has been revealed in samples taken from the liver tissue, biliary tract, bile ..."
"... Aim. The aim of the study is to determine the effectiveness of liver transplantation (LT ..."
"... 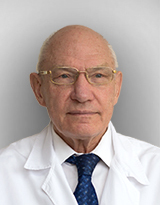 In the Russian Federation, liver diseases are most frequently represented by two their nosological ..."
"... of gallstone disease (GD) and non-alcoholic fatty liver disease (NAFLD), as well as to assess the effect ..."
"... fatty liver disease (NAFLD). General findings. A high-calorie diet, followed even for a short period ..."
"... of angiogenesis in portal hypertension pathogenesis in liver cirrhosis and the possibilities of its antiangiogenic ..."
"... Aim of investigation. To estimate epidemiology of the liver cirrhosis (LC) in Chelyabinsk region ..."
"... and its effect on severity and pattern of complications at the compensated liver cirrhosis (LC). Material ..."
"... Aim of review. To present modern options of comprehensive infusion therapy at various liver ..."
"... autoantibodies (ANA) have been detected. AIH of type 2 AIH is diagnosed, when liver kidney microsomal ..."
"... The natural history of liver cirrhosis (LC) is characterized by two stages: compensated ..."
"... (ascites, hydrothorax, dependent edema) at liver cirrhosis (LC). Key points. Most commonly LC is diagnosed ..."
"... and liver diseases. Summary. Bile acids are important signaling molecules that regulate lipid and glucose ..."
"... fatty liver disease (NAFLD) with the metabolic disorders of bile acids (BA) and changes ..."
"... ducts after orthotopic liver transplantation. Materials and methods. This study is based on the results ..."
"... The aim of publication. To present clinical guidelines of the Russian Scientific Liver Society ..."
"... men suffering from non-alcoholic fatty liver disease (NAFLD) combined with cardiac pathology ..."
"... liver disease (NAFLD). Summary. NAFLD occurs in 20-30% of adult population. In the Russian Federation ..."
"... Aim of investigation. To estimate diagnostic value of liver and spleen elastography in patients ..."
"... Background. Non-alcoholic fatty liver disease (NAFLD) is the leading chronic hepatic condition ..."
"... deficiency of lysosomal acid lipase (DLAL) which can develop under the «mask» non-alcoholic fatty liver ..."
"... и системного воспаления на кровоток по непарным сосудам брюшной полости у больных циррозом печени ..."
"... -alcoholic fatty liver disease (NAFLD) in the Russian Federation and People’s Republic of China. Summary ..."
"... , the disease progressed (focal affection of the lungs) and the patient died of brain stem hemorrhage. Autopsy ..."
"... Aim of investigation. Considering prognostic value and dynamic nature of liver fibrosis in chronic ..."
"... ) to development of hemodynamic disorders at liver cirrhosis (LC). Material and methods. Original study included 50 ..."
"... with subcompensated liver cirrhosis (LC) of HCV etiology (genotype 1b). Material and methods. Original study included ..."
"... » (lyophilizate for intravenous administration and capsules) for the treatment of fatty liver degeneration of non ..."
"... transaminase (AST), liver scores by noninvasive FibroMax test was applied to assess the treatment efficacy ..."
"... . In treatment-naïve patients from the main group SVR24 was achieved in 90.8% at initial METAVIR F0-F2 liver ..."
"... that develop on a background of severe liver diseases due to portal blood shunting and impaired liver ..."
"... information one can postulate following: 1) clinical vigilance for SAH, especially at liver diseases with high ..."
"... to symptomatic therapy and the prevention of complications, as well as to corrective surgery and liver ..."
"... revealed a defect in the central parts of the diaphragm on the right, the liver was rotated outward ..."
"... . are demonstrated. Radiological signs at chronic diffuse liver diseases, disorders of portal blood flow ..."
"... Introduction. The options of antiviral therapy (AVT) in the stages of severe liver fibrosis ..."
"... polymorphism diagnostics, to estimate liver elastometry scores at the background of antiviral therapy. Material ..."
"... . difficileassociated disease, and spontaneous bacterial peritonitis in liver cirrhosis patients are still under ..."